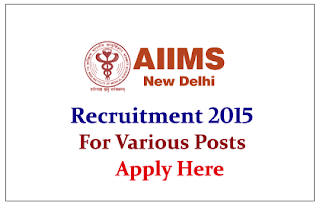 All India Institute of Medical Sciences recruiting of project staffs at Dr.R.P Centre for the year of 2015. Eligible candidate can apply on or before 24th May 2015. 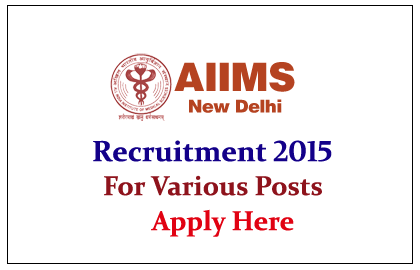 The All India Institutes of Medical Sciences are a group of autonomous public medical colleges of higher education. These institutes have been declared by Act of Parliament as institutions of national importance. Eligible applicant may submit their application to below address on or before 24.05.2015 upto 4.00pm. Room No.787, 7th Floor Community Ophthalmology Department Dr.R.P.Centre, AIIMS.